Paint roller cage frame with a hard wearing wooden handle. Patented roller frame tension er reduces roller sleeve side slippage. 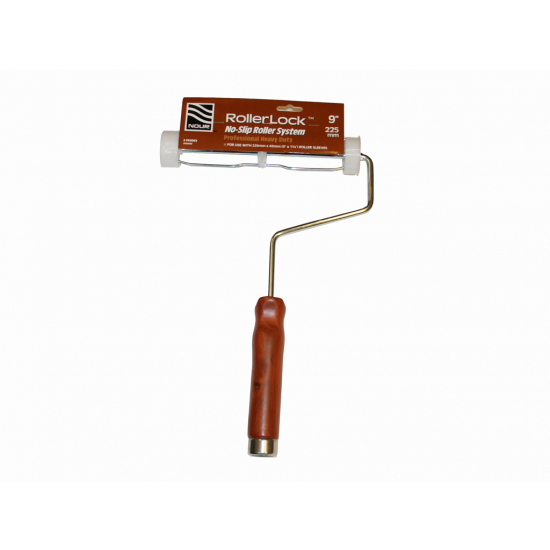 For use with all 1.75 Inch diameter and 9 Inches wide roller refill sleeves and standard screw fit extension poles. This frame has an ergonomic wooden handle with a reinforced metal screw fitting for standard screw fit extension poles. 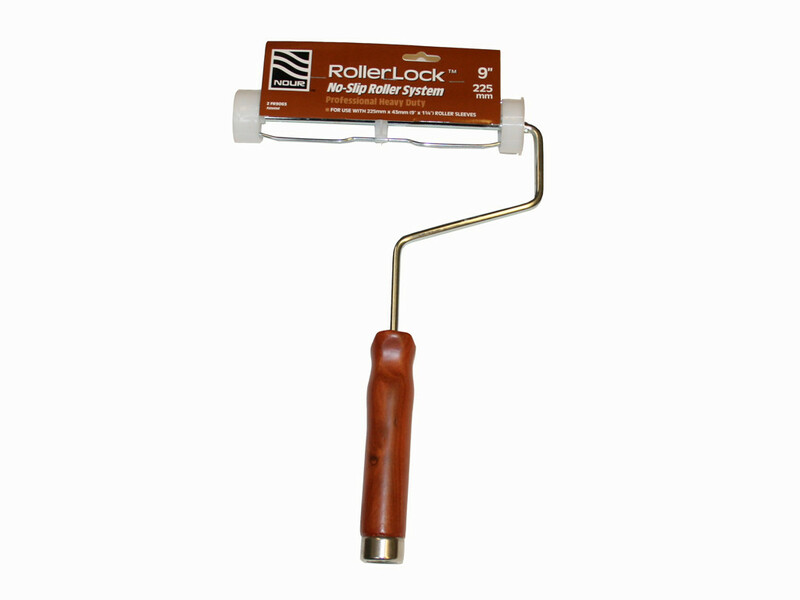 The frame provides a balanced weight distribution giving a more complete control over your roller.